Your business was perhaps built some time ago, and in the process, you figured a flat roof was the best building design. This isn’t an outdated concept since many businesses still design their building with flat roofs. No doubt you know by now that it’s challenging to keep these maintained due to the problem of ponding water and other issues. 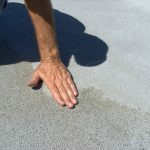 It’s almost inevitable your flat roof is going to start leaking at some point, even if it isn’t all that old. After going about a decade without any repair, you’ll definitely start experiencing some issues. From the beginning of your roof’s construction, it should have had a slight slope to help rain water drain off. Even with this, you might still have problems. Here’s some flat roof issues that are easy to fix, despite becoming worse if not fixed now. As mentioned above, standing water (otherwise known as ponding water) is the most frequent problem with flat roofs. In many cases, how much damage you receive from ponding water goes by what kind of material you use. Single-ply membranes are sometimes the most vulnerable to water, and can deteriorate quickly. PVC is a great material preventing deterioration, and this can become a relatively easy installation. However, your flat roof is maybe just choked with debris and needs some cleaning. The same goes for clogged gutters, downspouts, or wall scuppers not properly functioning. Fixing these is relatively easy, but you need a roofing professional to determine what’s really causing the ponding. Another common problem is if you have a rubber roofing material shrinking over time. The seams in the material might delaminate and begin pulling apart. When this happens, the rubber opens itself up to leaks. 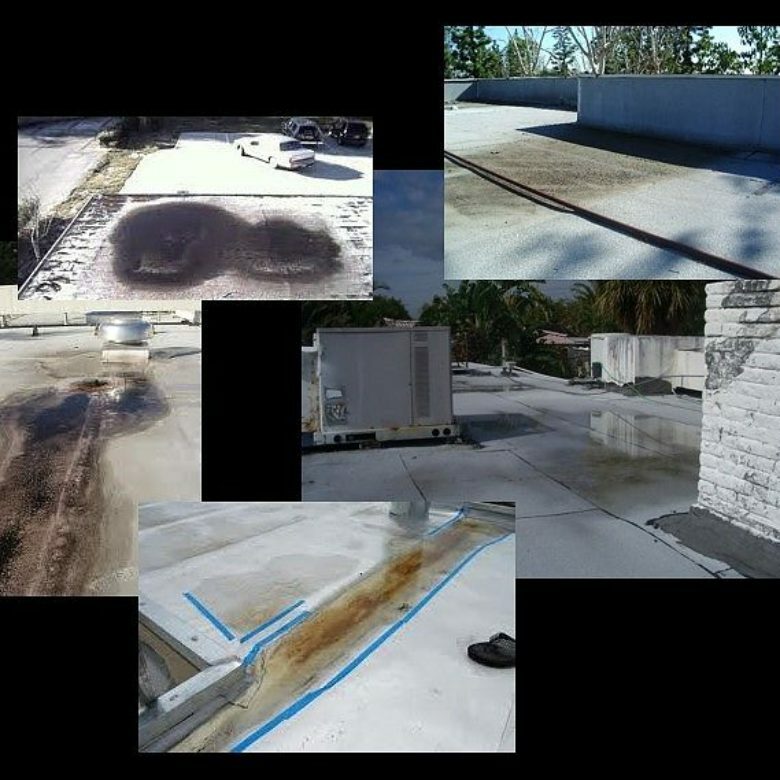 Because this is such a typical issue with rubber flat roofs, you’ll want to have a yearly inspection to scope out if shrinkage occurred. Situations like this (and many others) are easily avoided with just simple maintenance and inspections once a year. Rather than rubber, your flat roof is perhaps made of tar and gravel instead. It’s worth noting that when a leak occurs with these materials, it’s easier to fix than rubber. 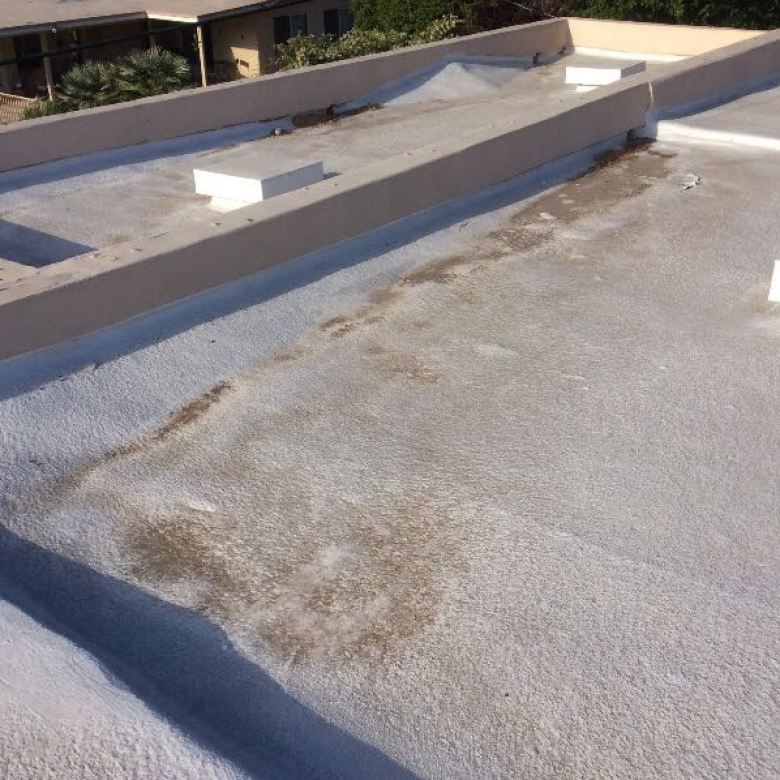 For your professional roof repair team, the challenge comes in finding the leak on a tar and gravel roof surface. They’re harder to find, yet once found, your repair team only have to apply tar, reinforce meshing, and place new gravel over the area. When the membrane on your roof starts to bubble, or looks like it has a rough texture, you’re probably experiencing blistering. Many in the roofing industry call this “alligatoring”, because the deteriorated surface resembles an alligator’s skin. 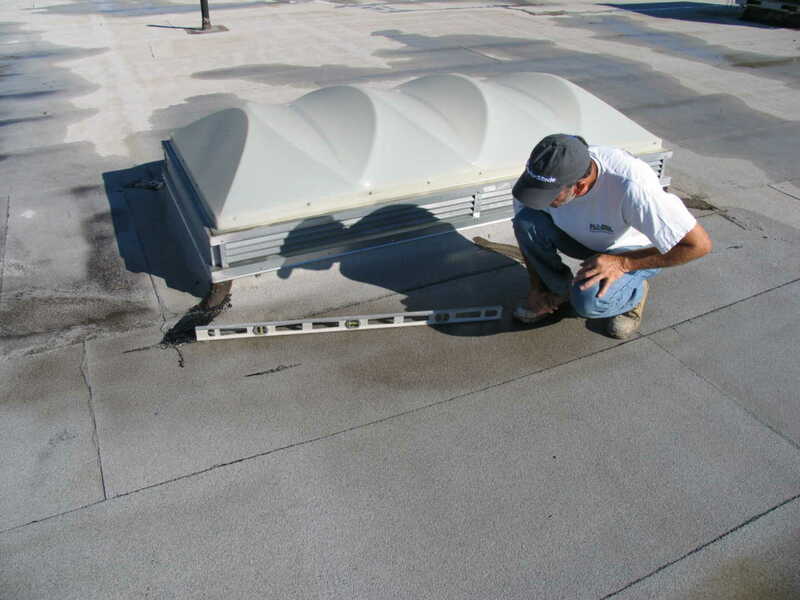 Blistering is always caused by pockets of air or moisture trapped between membrane layers. It’s really a separate issue from alligatoring, which is due to excessive UV rays hitting your roof for years. In turn, it causes cracking, plus the rough texture. To repair the above, your roof simply needs a new coating. Ignoring it is only going to mean the bubbling and cracking becoming worse. You’ll create more potential for leaks affecting things inside your building. Sometimes punctures can occur to the membrane due to nature, especially if you live in climates with excessive weather. 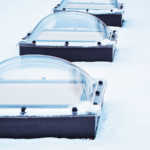 These are easily scoped out with a roof inspection, though often tough to find on your own. What’s important is to not attempt flat roof repair on your own. Far too many of these problems have subtle signs only a professional can find and fix. Contact us at RoofSlope to learn about our RoofSlope® product as one quick fix to add positive slope to your flat roof.